Captured on school campus today morning. 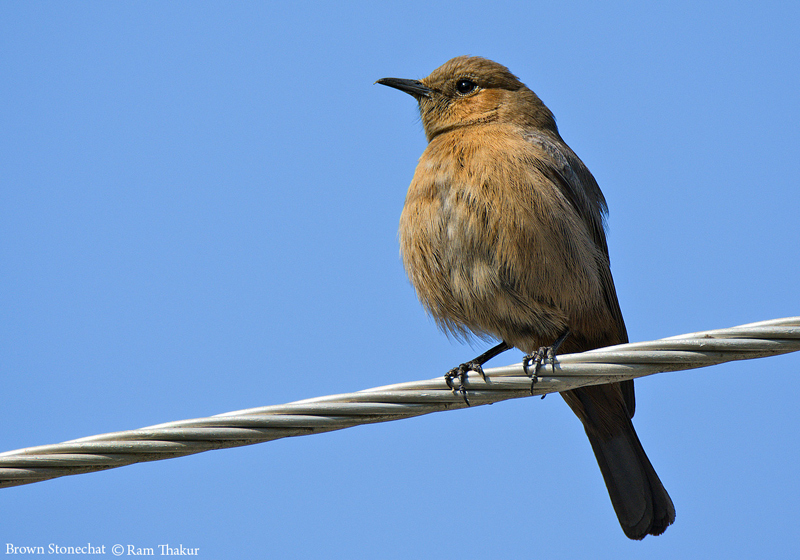 The brown rock chat or Indian chat (Oenanthe fusca) is a bird in the chat (Saxicolinae) subfamily and is found mainly in northern and central India. It is often found on old buildings and rocky areas. It resembles a female Indian robin but lacks the reddish vent and differs in posture and behaviour apart from being larger. In flight it bears some resemblance to thrushes and redstarts. It feeds on insects, captured mainly on the ground. It was formerly placed as the sole species in the genus Cercomela but is now included with the wheatears in the genus Oenanthe. Excellent work...Amazing sharpness and details with your new lens. Tamron 150-600 mm works excellent with your Nikon D 7200. Beautiful photo of this Indian Chat in great sharpness and details. Good DOF with a nice background. I like this lens too. Very nice picture, sharp and very natural!